We are honored to be awarded a grant from Dallas Arts District Foundation for our free concerts performed in the heart of Dallas. 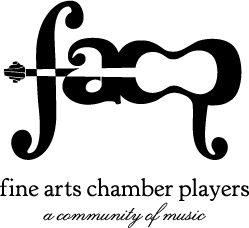 Fine Arts Chamber Players is grateful for our decades-long relationship with the Foundation, and appreciates their continued support of our Bancroft Family Concert series and our Beethoven Basically Festival. The Foundation’s work to make the Arts District available for everyone goes hand-in-hand with FACP’s free classical music offerings in the Dallas Museum of Art and Dallas City Performance Hall. Learn more about the Foundation here.